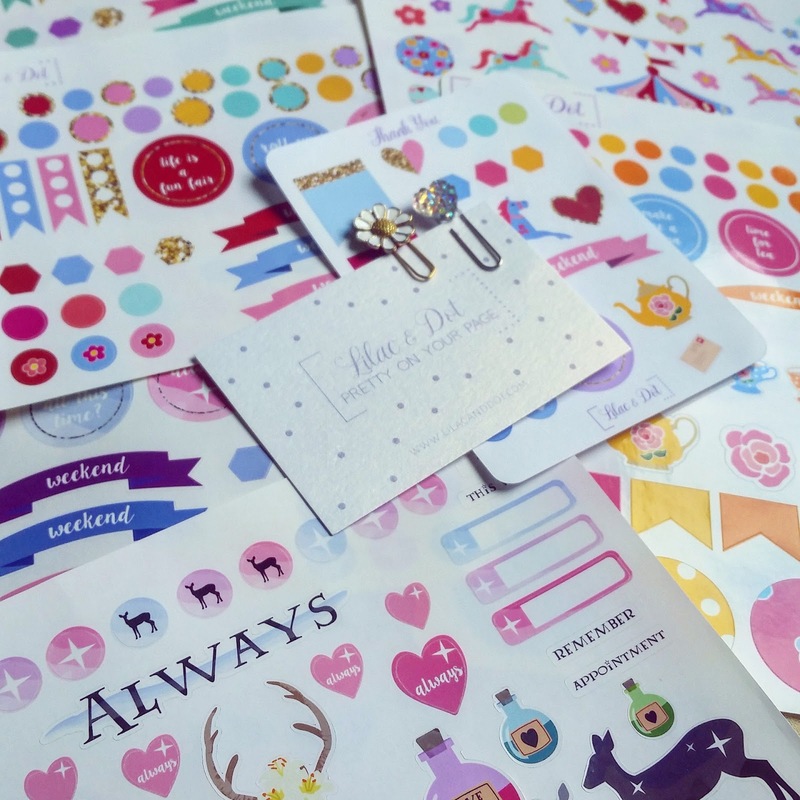 Okay, hands up, I have a Lilac & Dot sticker addiction. Originally found through my favourite Facebook Group - UK Planner Addicts - Lilac & Dot is owned by a lovely lady called Natalia who designs all of her own images (no clip-art here!) 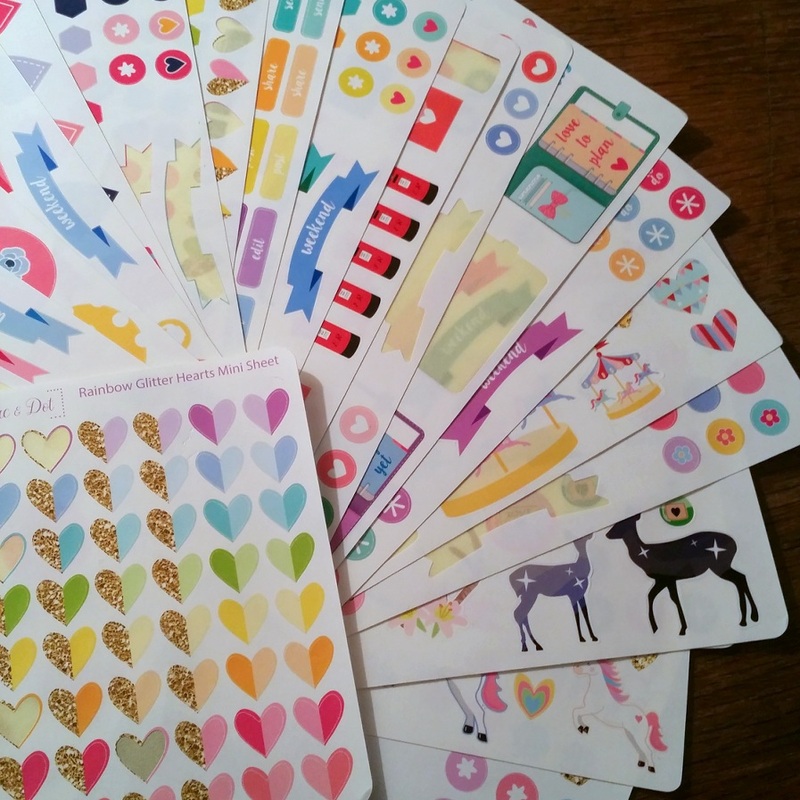 and turns them into the cutest, prettiest, girly stickers that I've found in a while, and I can't get enough of them. 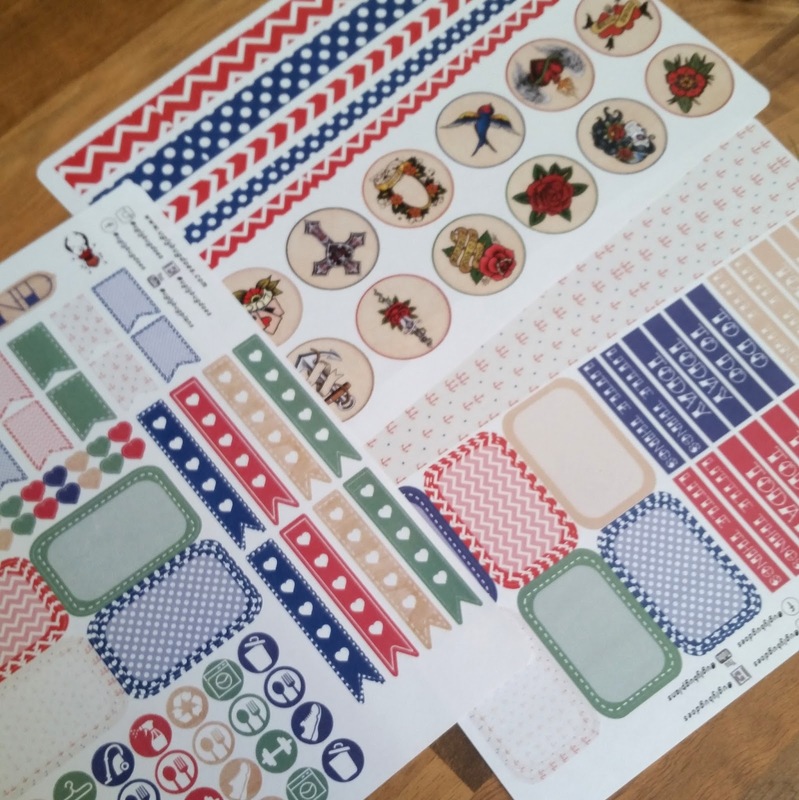 I can't show off my latest purchase because it was bought as a gift but I am just loving these stickers. 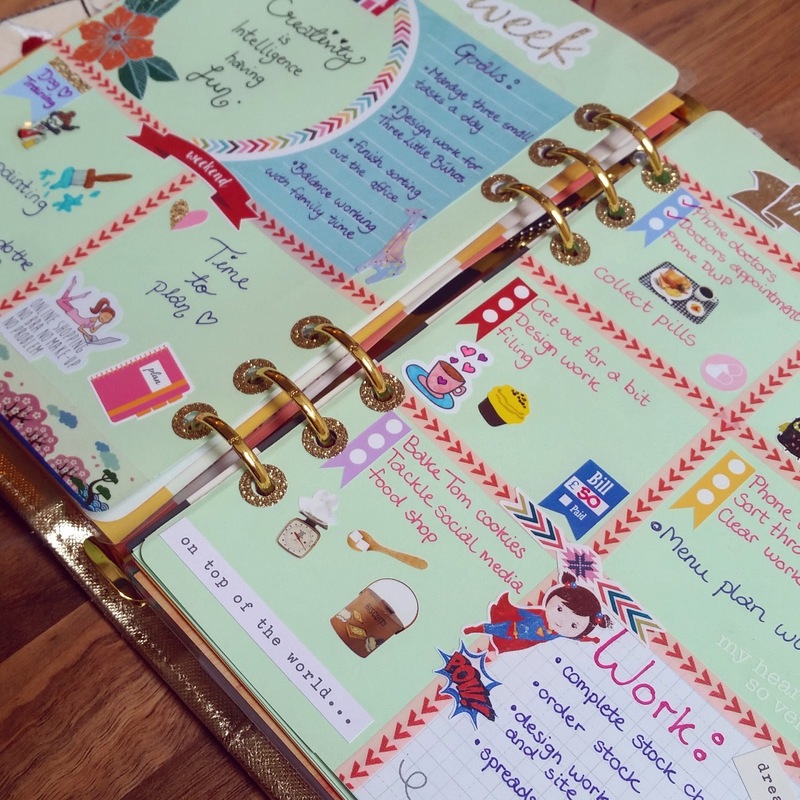 People who follow me on Instagram *here* will have seen them popping up a lot in my weekly spreads. So what do I like so much about them? Well, first of all, it has to be the quality. The paper and print quality are truly lovely. 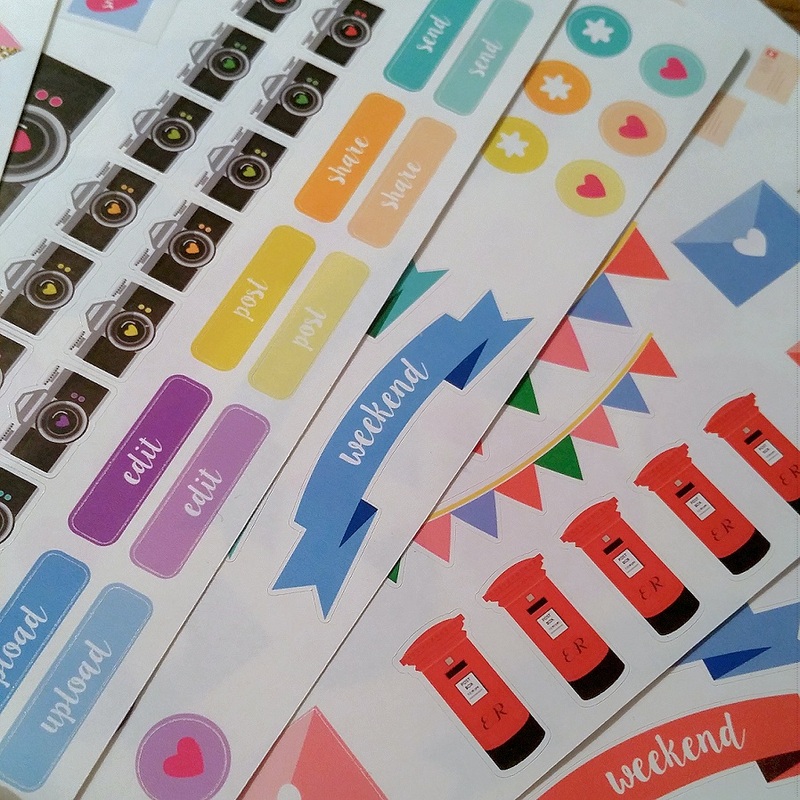 I prefer glossy stickers in general but find that sometimes this means that the print quality suffers a little, but I haven't found this to be the case with any of the Lilac & Dot stickers that I have purchased so far. 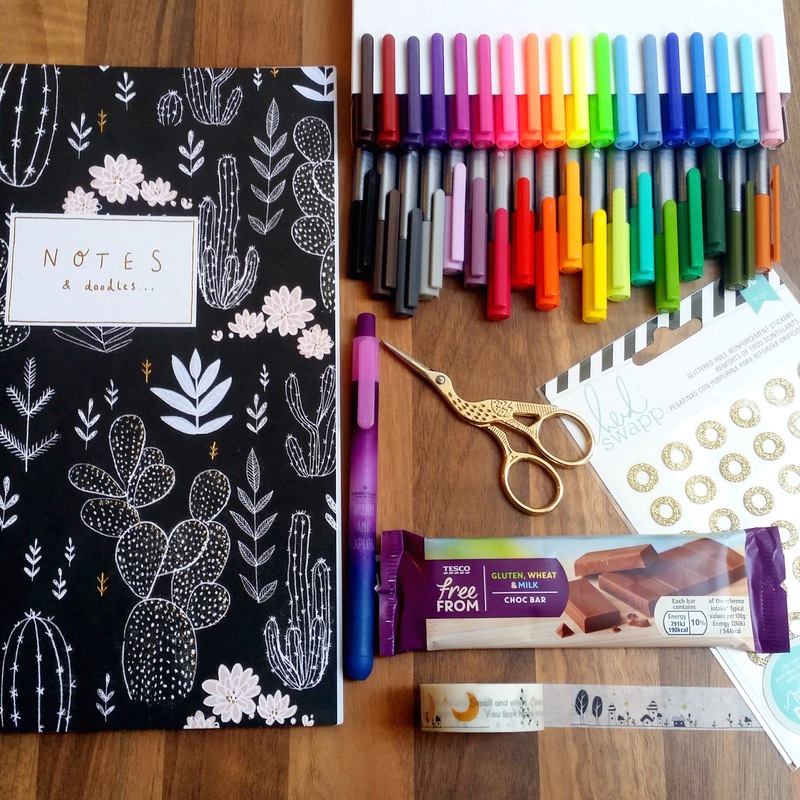 The colours are lovely and bright and the paper is good quality without being so thick that it sticks up from planner pages. 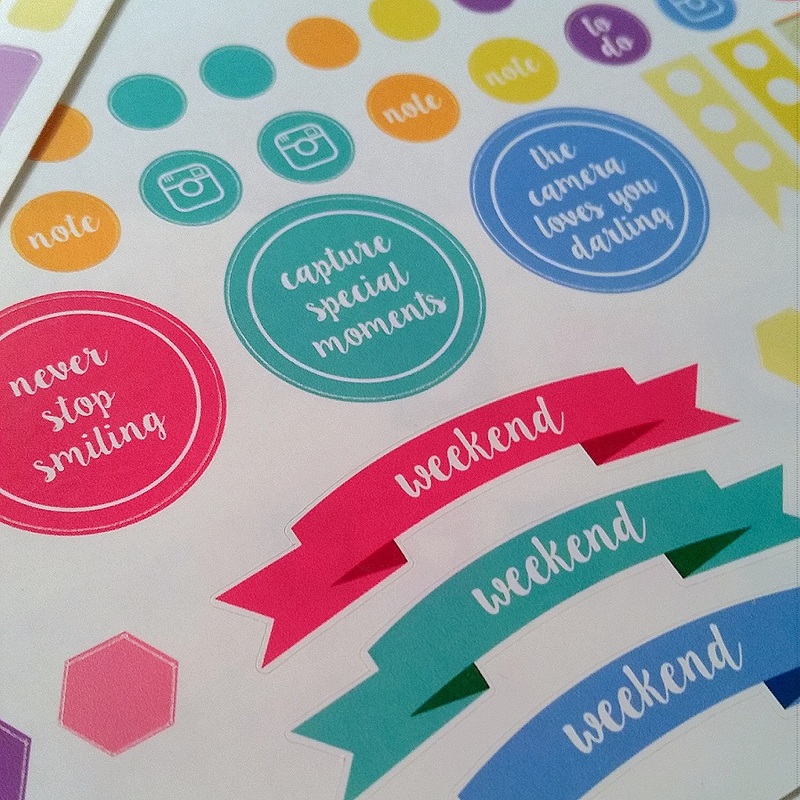 Then there is the mix between pretty and practical stickers. The kits come with a sheet that is more dedicated to pretty stickers relating to a theme whilst the other sheet has lists, prompts, weekend banners, flags and bullet point stickers. It means that they work well both together and independently and last a nice long time. Finally, there is the individuality. As I mentioned at the beginning of the post, all of the designs are drawn out by Natalia herself, meaning that they can't be found anywhere else. To me, that makes them so much more special. Yesterday I was lucky enough to find out that I have been accepted as a member of the Lilac & Dot design team which I am over the moon about. It makes me so happy to be able to work with Natalia and several other ladies to help show Lilac & Dot some love. Expect to see plenty more from this beautiful brand and please do check out all of the sets available in the shop *here* and show some love on Instagram *here*! I was recently approached by the lovely people over at SkinnyPop Popcorn who asked me what would make my idea of the best ever blanket fort. This is a question that I have spent too much of my adult life pondering because I am a sucker for anything cosy. The night my best friend turned her living room into a blanket fort and filled it with pizza and cards against humanity was just the best! So what makes the best ever blanket fort? Well, to begin with, you need your essentials! I think my list of essentials also has to include duvets though, because I like a little extra padding and cosiness for the floor! And the brighter and more eclectic the mix of blankets, the better. Once you have the basics sorted, its all about creature comforts. It goes without saying that only people in pyjamas or a onesie are allowed into my blanket fort- I have no time for uncomfortable clothes at the best of times- and slipper socks and slipper boots get you bonus points! 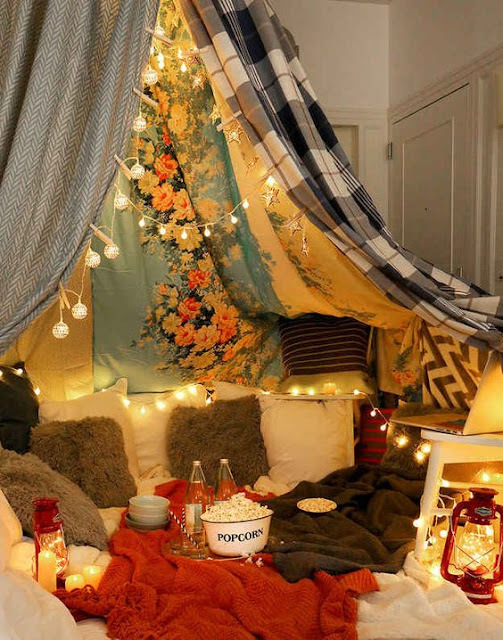 For me, because blanket forts are all about being cosy and surrounded by comfort, fairy lights play a big part. For fire safety reasons, I would recommend LED lights because they don't get hot. I also find that battery operated fairy lights make the best choice because they can go anywhere you want them, without needing to worry about plugging them in to the wall! Nothing can beat lying back in your blanket fort and looking up at a sea of shimmering lights. Board games! These have to be the activity of choice in my eyes! I love Scrabble, Trivial Pursuit and Cards Against Humanity, or to make it feel even more like and old school sleepover, how about a game of consequences? Whichever game, I love how social this can be be, especially when we are living in an age where technology is king, and we would usually all be sat around looking at our phones rather than interacting. 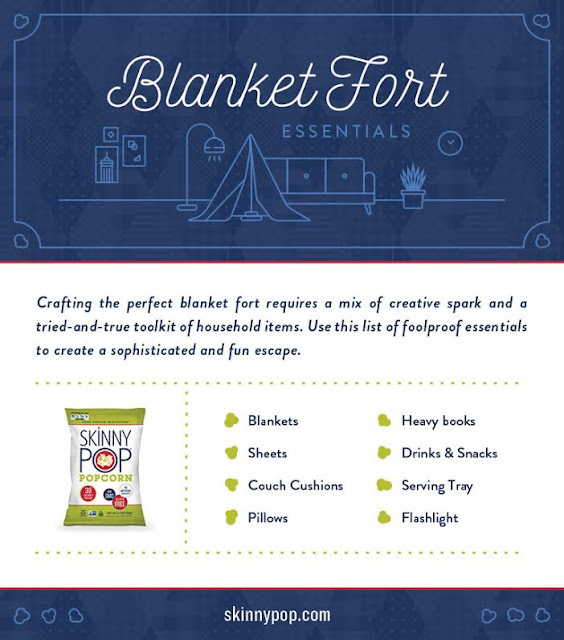 Snacks and drinks are the other big player in the blanket fort game. Due to a recent diagnosis, I am not longer able to really drink alcohol, and also have to avoid gluten and soya, so this does cut down on the snacking options rather, but that doesn't mean that all yummy things have to go out of the window. Popcorn is still a great choice, and totally the right snack to enjoy inside a blanket fort, you can also get plenty of gluten free tortilla chips, so nachos are another must have along with plenty of cheese and all the dips you can muster. 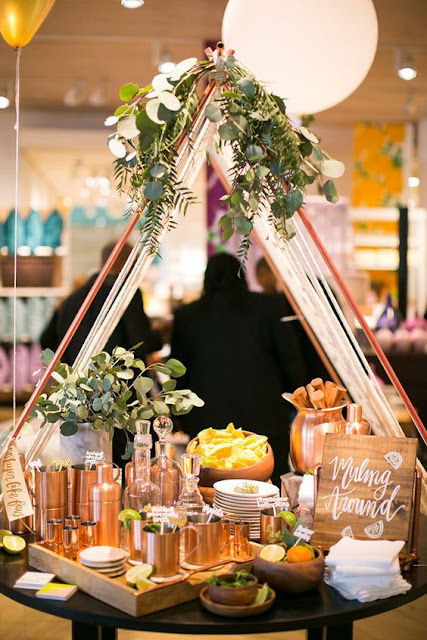 Set these up at a snack station along with mocktail ingredients and you have my idea of perfect blanket fort feasting! This morning the postman delivered something beautiful to my door; the August box from My Little Box. 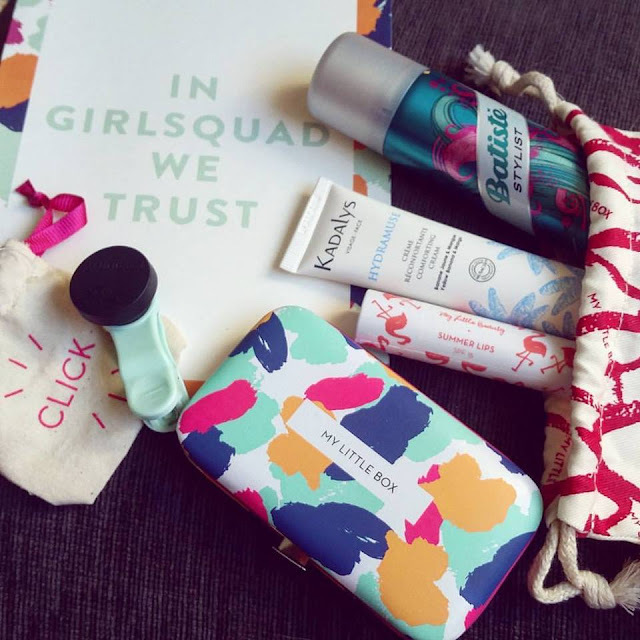 This month is all about girl power so the Friends Box is full of lovely, girly goodness to help you enjoy some girl time with your favourite people. 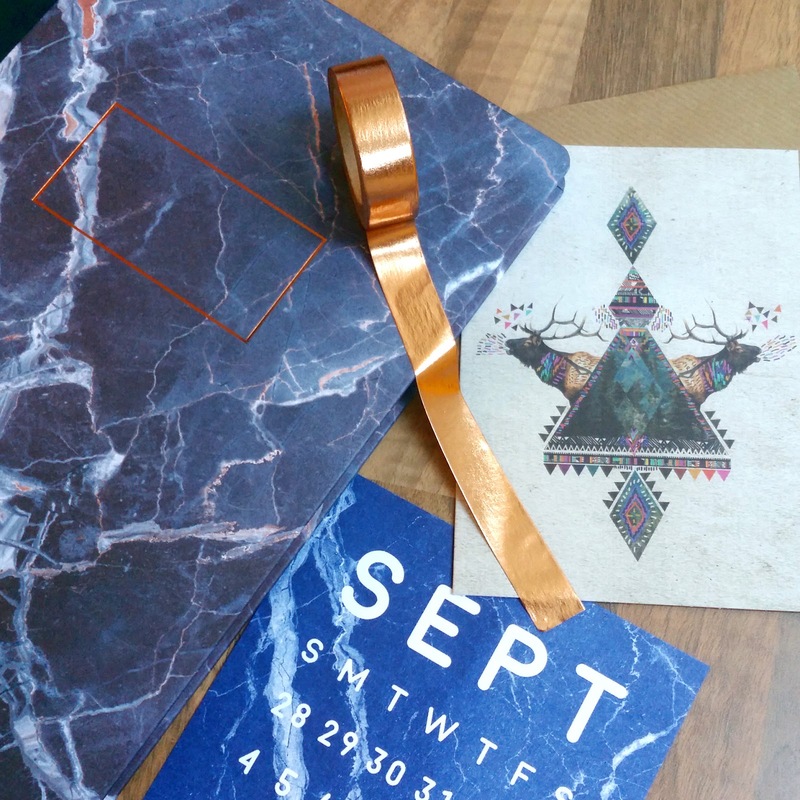 I've been really impressed with the contents of this months box. I've been trying to decide lately whether to keep my subscription running (mainly because I'm too much of a subscription box fan and have a few monthlies that I get) but the goodies I received today have made me decide to keep it going a while longer. First Up is the item that I was most excited to see in my box. It is a clip on fisheye lens that is compatible with any smartphone. You just clip it on and away you go. I've wanted one of these for a while but never been able to justify buying one so I am beyond happy to finally have one to play with (and believe me, I have already been playing with it! Grace's nose looks huuuge through the lens). 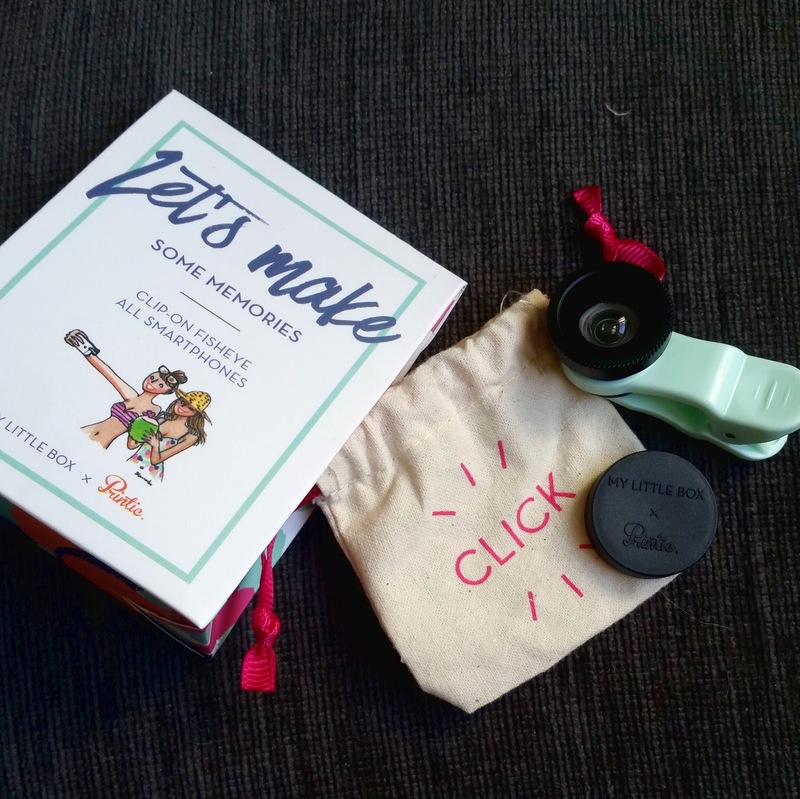 The quality is great and the lens cap and carrying pouch mean I can pop it in my handbag without worrying. They're available through My Little Corner online for £12. 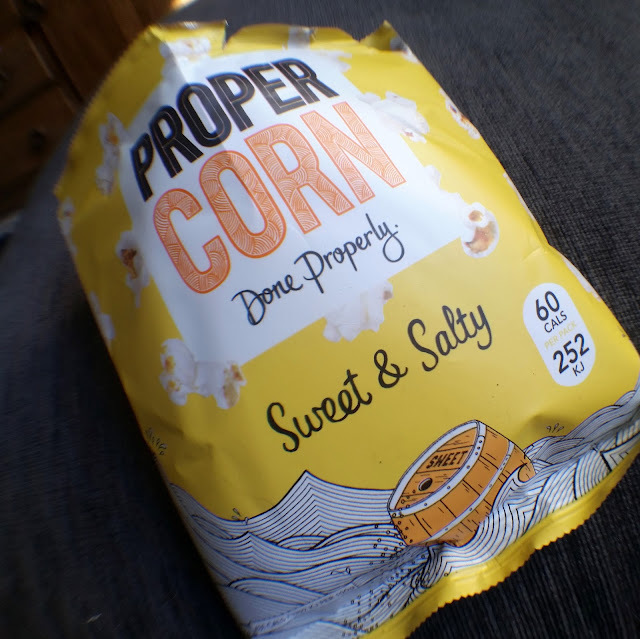 Next up was a bag of sweet and salty Propercorn popcorn (which definitely got the fisheye lens treatment!). It made me happy to see this because I have recently had to cut a lot of yummy things out of my diet, yet Propercorn make all their popcorn types gluten and wheat free, meaning that I can still enjoy them all! This was really tasty and didn't make it into any of the other photos because I'm a little piggy and wolfed it down :D You can pick up a full size 30g bag for £1 in all good supermarkets. 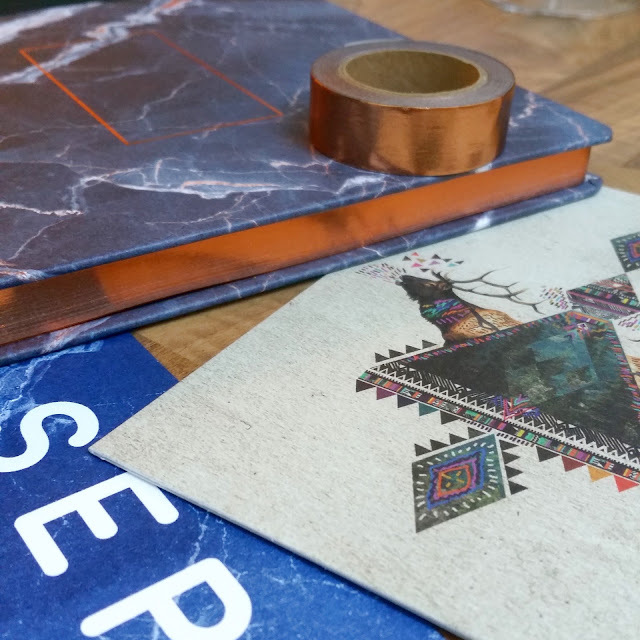 This month's box is nice and varied in terms of beauty items. 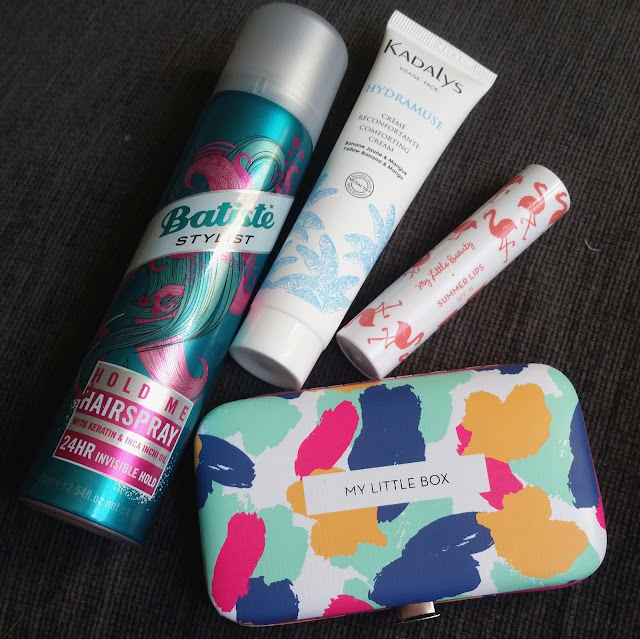 Batiste is a brand that I've always had a lot of time for, and I've used the Hold Me Hairspray before and found it to be really good. It offers a long lasting hold and I found that it didn't make my hair feel stiff or sticky whilst it did so. I always wash my hair to get rid of hairspray so I can't vouch for it brushing out easily but I can say that it is a very good quality product and I'll be happy to have it in my handbag again. A full size 400ml can costs £4.49. Kadalys is a brand that I haven't heard of before but having done a little googling I have found that they have some very positive reviews. I received the Hydramuse Comforting Cream which is made using a delicious combination of banana and mango butter. It also uses hyaluronic acid to make skin feel as smooth as a baby's booty. I popped some of this on after having lunch in the garden today and it really did feel like instant re-hydration, very soothing! It isn't cheap at 22 euros for 50ml but I think it's going to be one of those products that I end up slightly hooked on. 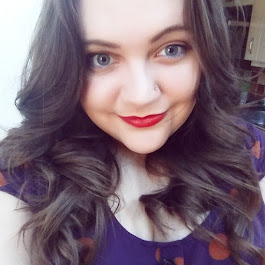 There were two items this month from My Little Beauty; Summer Lips and a manicure set. Summer Lips is a tinted lip balm offering SPF 15. I have a lot of lip balms so I wasn't overly excited by this. I received a My Little Beauty lip balm a few months ago which I use a lot so I was interested to give this one a try. Sadly I don't find it particularly moisturising, it also has that slight typical lip balm taste which I didn't find the previous balm to have. So over all I don't this will be getting much love from me. I also think that the retail price from My Little Corner is too steep at £12...I do like the flamingo packaging though! Last but not least is the My Little Beauty Nail Kit. This is very cute. It includes your typical manicure tools; nail file, metal file, nail clippers and hoof and clips closed to keep them safe in your bag. I also think the packaging is lovely. The inside of the case is a soft mint colour and the nail file has the same pattern as the outside of the case. This retails for £7.50 on My Little Corner and I think it makes a cute gift that is worth the money. Overall, a very strong box this month, the best for a long time, in my opinion. Now I'm excitedly looking forward to seeing whether next months offering is just as good. I don't remember exactly when I last posted on here, I just know that it has been far too long. 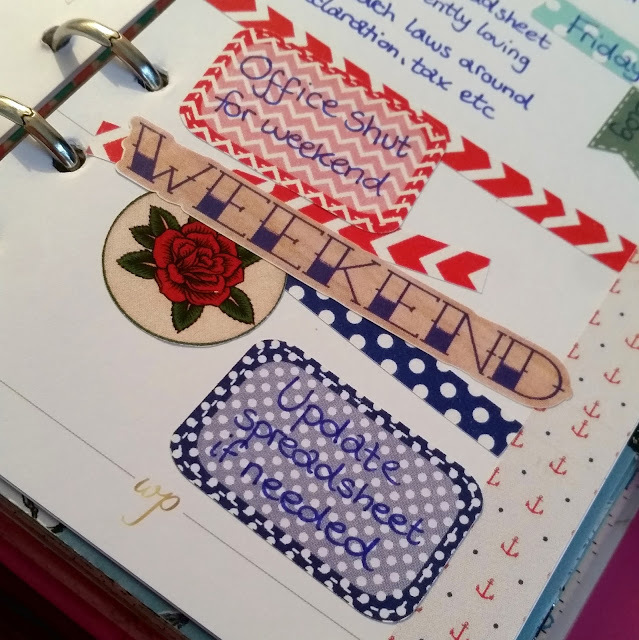 Life has changed a lot in the last few months and my time has been devoted to looking after myself, adjusting to new routines and planning exciting new ventures. One of the biggest changes has been that we adopted a beautiful dog called Grace. She is a Romanian Rescue who we collected from Mutts With Friends near the end of May. 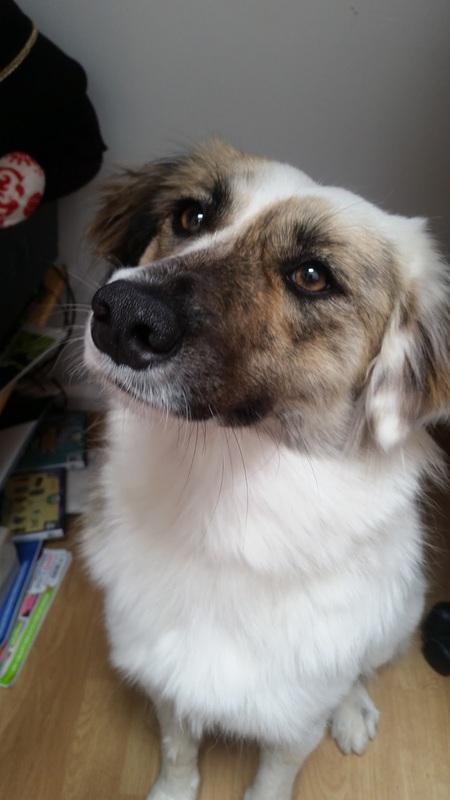 She's around 14 months old now and needs so much time and attention, more than you'd ever think as a non dog owner. She also enjoys stealing the recycling and eating socks so you have to always be on your guard! 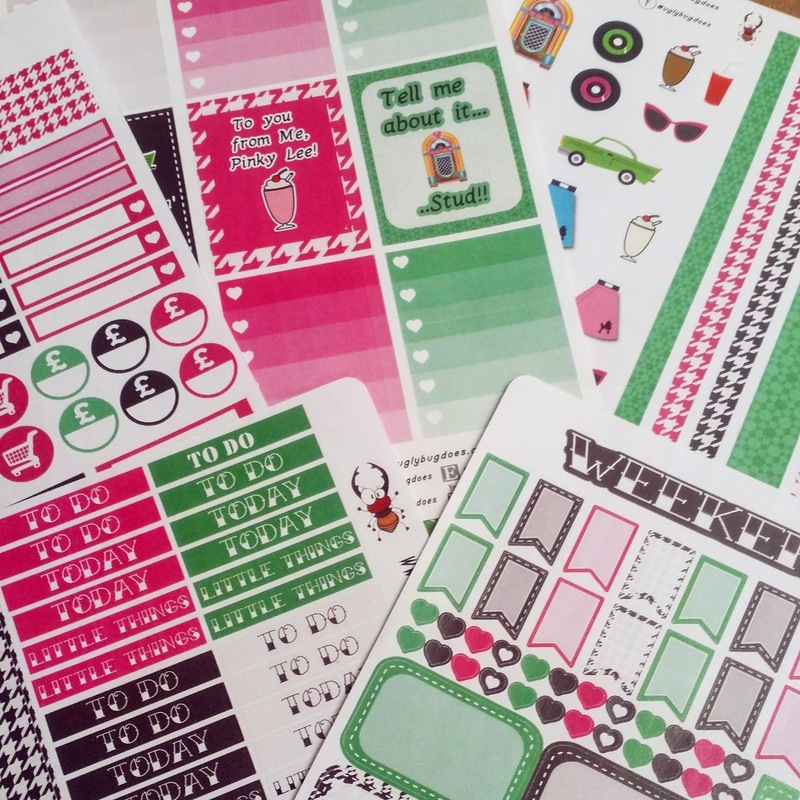 I have also been accepted as a brand ambassador by the lovely Michelle who owns Ugly Bug Does, a stationery shop offering homemade products, exclusively designed stationery and a fab monthly subscription box. 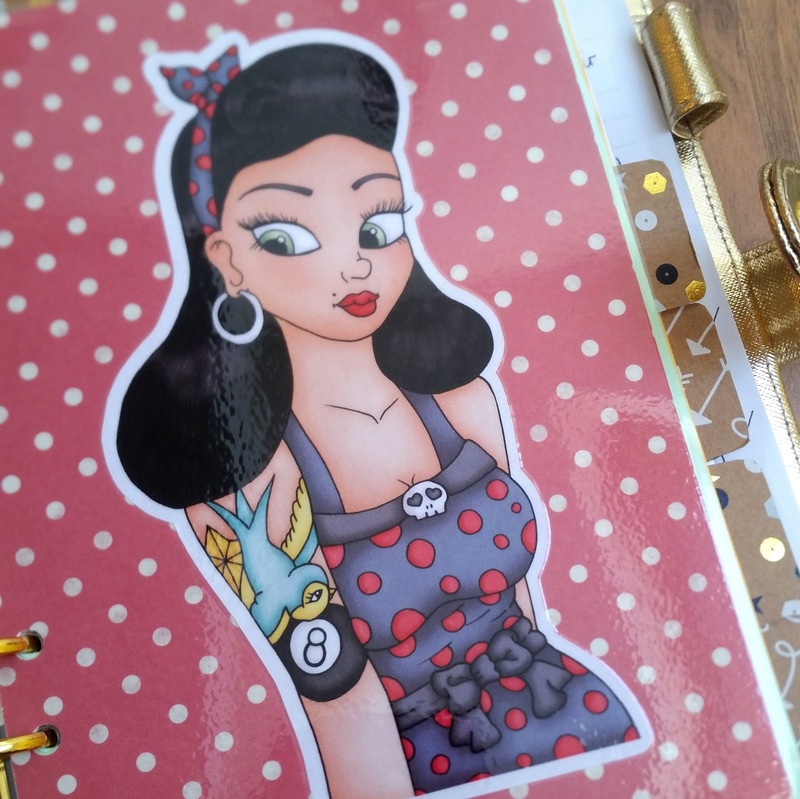 I have a review of the August rockabilly themed box lined up in the next few days, but for now you can find Ugly Bug Does *here* and below is a photo of the box contents. Expect to see plenty more from Ugly Bug Does over the next few months! 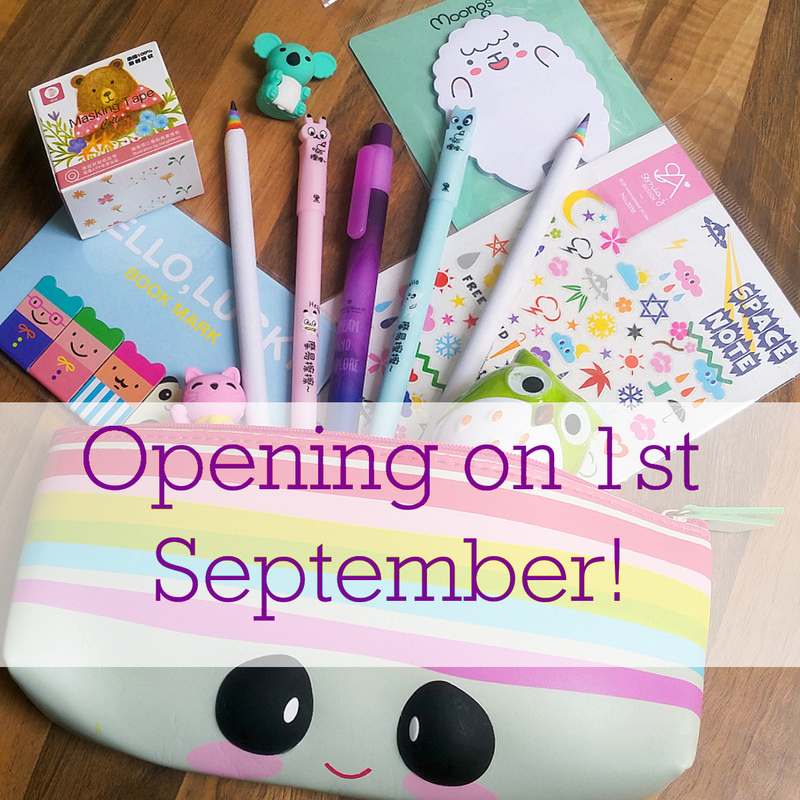 The thing that I am most excited to tell you about, however, is that Three Little Buhos is expanding! Within the next month or so, once stock arrives, I am going to be opening shop on Etsy and Three Little Buhos Stationery will be born. 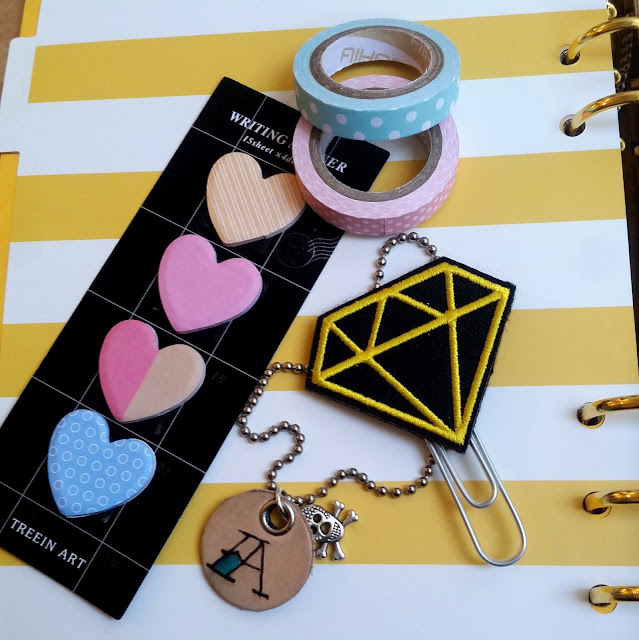 I will be stocking cute and quirky stationery products including washi tape, stickers, pens, pencils and other bits and pieces, all chosen by myself to help liven up your desk space. As stock begins to arrive I will, of course, be posting sneak peeks on here as well as on the Three Little Buhos Instagram feed *here*. Keep your eyes peeled for an opening day discount code as well. Stationery and planning have always been a big interest of mine (I started my sticker collection when I was a child!) so I am hugely excited to be bringing my hobby into a new life with this venture. 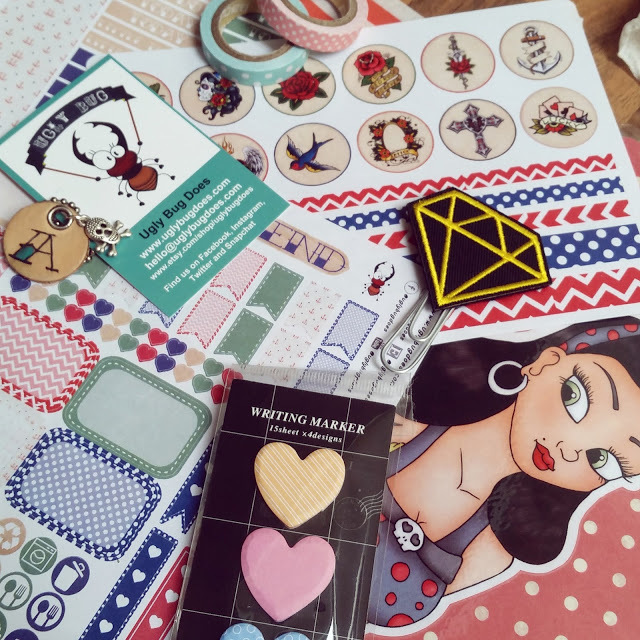 To stop myself going off on a long winded ramble about everything else new, I am going to leave it here for today and get back to design work for Three Little Buhos so that I can bring you my new shop as soon as possible. 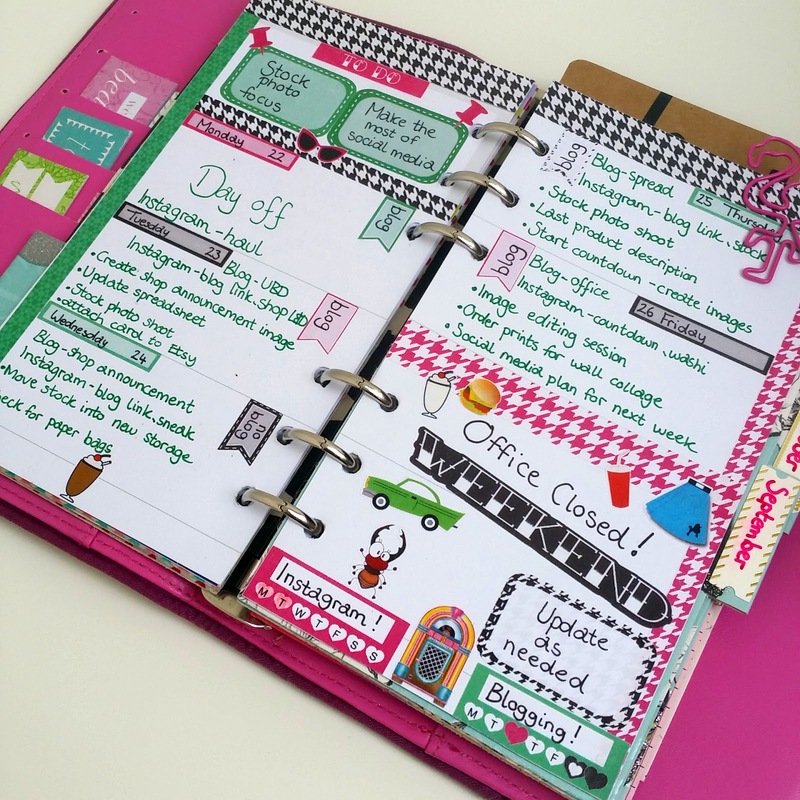 It's amazing how much work goes into launching a business, and I am loving every minute.